Take the Center for Rural Pennsylvania’s Broadband Speed Test!! The General Assembly is looking to address the problem of spotty internet speed in rural Pennsylvania counties. To help lawmakers get a detailed report of the extent of the issue, the Center for Rural Pennsylvania (CRP), in partnership with Penn State University, created an online test for residents. CRP is supporting the internet speed study with a $50,000 grant. Broadband access impacts the economy, educational opportunities, health care access, and other critical needs of a district. According to Penn State faculty member Steve Sampsell, 800,000 Pennsylvanians lack access to high-speed internet, and two-thirds are people living in rural areas. Please take a minute to take the test here. Participation is crucial to helping lawmakers resolve the issue. 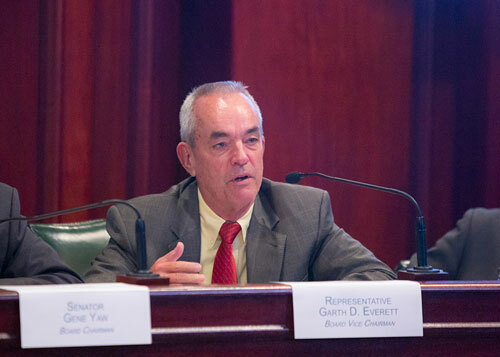 On Oct. 3, I joined Sen. Gene Yaw, The Center for Rural Pennsylvania (CRP), and other legislators at a hearing convened at the State Capitol, which pushed for treating opioid addiction as a disease. As members of the CRP Board of Directors, Sen. Yaw and I heard from health professionals from UPMC Susquehanna, Pennsylvania Society of Addiction Medicine (PSAM) and Pennsylvania’s Secretary of Health and Physician General Dr. Rachel Levine. There is notable consensus among medical professionals that addiction treatment has been flawed in years past. Increasingly, the stigma facing addicts is disappearing as doctors seek to fight the spread of the disease with a focus on recovery and education. The National Institute on Drug Abuse noted that molecular and imaging studies expose the “strong genetic component” and brain disorder conditions present in addicts. Dr. Bradley Miller, a Fellow of the American Academy of Family Physicians at UPMC Susquehanna in Williamsport, concurred, saying addiction “is a physiologic, chronic disease of the brain, not something that you can wish away.” Miller presented evidence of changes to the brain after opioid intake, such as a physical inability to “reason.” Dr. Frederic Baurer and Dr. William Santoro of PSAM urged for making “pharmacological approaches” readily available, such as methadone, suboxone and extended release naltrexone (vivitrol). An agenda, testimony and video from the hearing, along with additional information can be found on the CRP’s website here. The U.S. Labor Department reported August as the 95th straight month the economy added jobs, with 201,000 job openings. Wages also rose for U.S. workers by 2.9 percent as the unemployment rate stayed at a record-breaking 3.9 percent. With every new jobs report this year has come the stated fact that there are more job openings than unemployed Americans. Amazon announced Oct. 2 that it would be increasing its minimum wage to $15 for all U.S. employees, including full-time, part-time, temporary and seasonal workers. I think it is important to note that the multi-million-dollar company did not need a state minimum wage increase required by law to make this change. Amazon likes to bully competitor retail companies that can’t afford such a high wage hike by calling for “livable wage” laws. But this self-righteous campaign is harmful to smaller companies with less-skilled workers, and as evidenced by Amazon, the marketplace is working. We do not need state-mandated wages. As the economy continues to improve, competition increases and wages rise. In fact, the Department of Labor and Industry has reported that there has been an increase in workers earning over $15 per hour, and the total share of workers earning less than that in Pennsylvania dropped between 2016 and 2017. More workers are receiving improved benefits packages as well, which is why the market has not seen wages rise as quickly. Something that Amazon has not mentioned in a press release, however, is that its existing warehouse workers will no longer be able to collect bonuses or receive stock in the company due to the wage hike. Legislation that permits automated speed enforcement cameras in Pennsylvania work zones is headed to the governor’s desk. Under the bill, state police will also be allowed to use LIDAR and can issue tickets in active work zones to drivers exceeding the posted speed limit by 11 miles per hour or more. These are five-year pilot programs that will be enacted on an experimental basis. The affected areas include the Turnpike, interstates and other “federal aid” highways such as Routes 22/322 or 11/15 in the midstate. Work zone cameras could begin being put to use 120 days after the legislation is signed by the governor. Generated revenue from the fines will go toward the state police, the state’s Motor License Fund, and the state Department of Transportation and the Pennsylvania Turnpike Commission. Lawmakers are looking to designate the funds toward transportation and transit projects, as well as other work zone safety initiatives. Supporters of the legislation believe it will keep both drivers and highway workers safe, as a similar law has done in Maryland. This week, the House unanimously approved legislation to help ensure proper upkeep of the graves of Pennsylvania veterans. Under current law, counties are required to place a marker and a U.S. flag on the graves of all honorably discharged veterans. These U.S. flags are to remain up from Memorial Day through the Fourth of July. 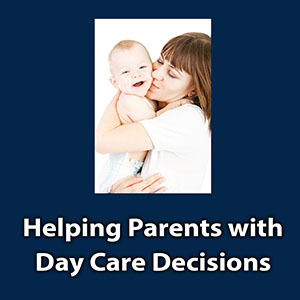 Bipartisan legislation designed to help parents with day care decisions was passed by the House this week and sent to the Senate. House Bill 1742 would require all state licensed child care centers to post their Keystone STARS rating in a prominent location and on their websites. PennDOT has announced an advisory for motorists in Lycoming County to be aware of an upcoming spill cleanup Tuesday, Oct. 9 on Route 15 southbound near the Interstate 180/Route 220 interchange in Williamsport. Be on the lookout for daylight lane restrictions and traffic flaggers. PennDOT is warning motorists to drive with caution through the work zone. PennDOT is also reminding motorists to check road conditions by vising this site, 511PA.com also available through smartphone application or by calling 5-1-1. You can also follow regional Twitter alerts on the 511PA page. PennDOT is advising motorists to be aware of alternating lane restrictions on I-180 in both directions from the Muncry Creek bridge at Mile 14 (between Hughesville and Pennsdale) to the Carpenter’s Run bridge at Mile 16 (between Pennsdale and the Lycoming Mall Interchange). Work continues next week as part of an 8.6-mile resurfacing project from Cemetery Road in Fairfield Township to the Muncy Creek bridge. PennDOT expects the project to be completed on Friday, Oct. 19 at 5 p.m. The Pennsylvania Liquor Control Board, Bureau of Alcohol Education has announced the opening of its annual Alcohol Awareness Poster Contest. The bureau is calling on Pennsylvania students in kindergarten through 12th grade, including home-schooled, parochial and private schools, to submit their artwork. Students wishing to enter can read the guidelines and find the application form here. All submissions should be postmarked no later than Friday, Nov. 16, 2018. Posters must be submitted to: Pennsylvania Liquor Control Board, 113 Northwest Office Building, Harrisburg, PA 17124-0001. Winners will be contacted in early 2019 and will be recognized at a ceremony in Harrisburg in the Spring. Rep. Jeff Wheeland and I will be hosting a series of Gun Law Seminars in October. Presenters will include Lycoming County Judge Marc Lovecchio, who will discuss Pennsylvania’s Castle Doctrine and Stand Your Ground laws; Lycoming County Sheriff Mark Lusk, who will explain rules and regulations surrounding licenses to carry firearms; a police officer, who will discuss how to safely interact with the police when carrying a firearm; and an officer from the Pennsylvania Game Commission, who will discuss firearm carry laws as they relate to hunting seasons. Thursday, Oct. 18, 6-8 p.m. at Mountain View Alliance Church, 1515 Cemetery St., Jersey Shore. Tuesday, Oct. 23, 6-8 p.m. at Old Lycoming Township Volunteer Fire Co., 1600 Dewey Ave., Williamsport. Wednesday, Oct. 24, 6-8 p.m. at Hughesville Volunteer Fire Co.,2 S. Railroad St., Hughesville. Seating is limited and advance registration is required. To RSVP, click here, or contact the district office by calling (570) 398-4476 or emailing Kathy Koch at kkoch@pahousegop.com.